PRICE REDUCED! Beautifully updated, 3 bd, 2 ba, home located in the highly desirable neighborhood, Patty Ann Acres. No flood insurance required. This property offers an open floor plan, pitched ceiling in the main living area, eat in kitchen area, tile throughout & hardwood floors in all bedrooms. 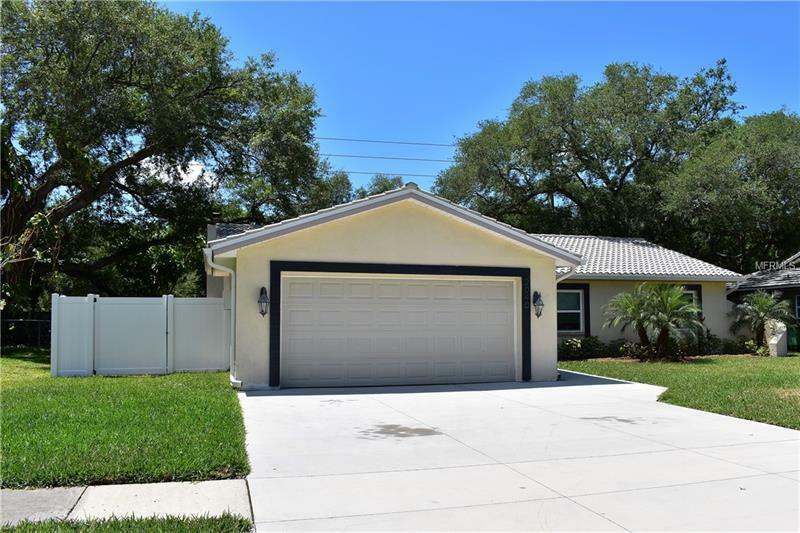 New AC unit and new double pane windows, updated kitchen with stainless steel appliances as well as beautifully updated bathrooms all completed in 2017. Resurfaced driveway, even a new fence. Breaker box completely updated in 2017. Located just minutes from the Pinellas Trail, numerous shops & restaurants, 10 min to Lake Tarpon and 15 min to sponge docks. 25 min to Tampa International Airport, 15 min to St. Petersburg Airport & 20 min to Clearwater Beach. Schedule your showing today. You will not be disappointed.